Successfully completing its first flight in May of 2015, the new Gulfstream G500 is scheduled to reach FAA certification near the end of 2017. 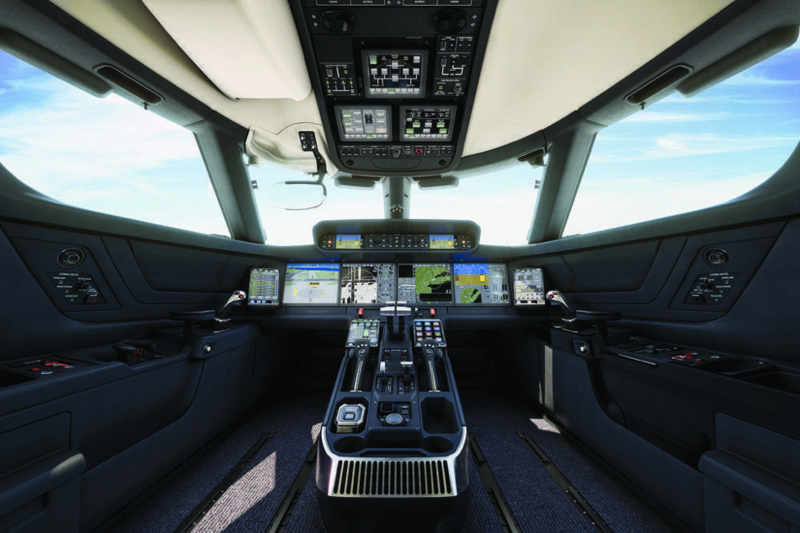 The G500 will introduce improvements such as cabin size, speed, range, and technology. With three living areas and over 41 feet in length, the G500’s cabin can comfortably seat 19 passengers. 14 Gulfstream panoramic windows fill the cabin with natural sunlight, ensuring each living zone is met with an abundance of light. With over six feet in height, the cabin’s comfort has been enhanced for the ultimate flight experience. Each 27-inch-wide leather executive style seat has a footrest for easy reclining capability. Additionally, the G500 has 7 more inches of legroom than the G450. Even at a high altitude of 51,000 feet, the cabin remains at no more than 4,850 feet of altitude due to a high grade pressurization system. 100% fresh air is also replenished within the cabin every two minutes, ensuring every passenger feels refreshed upon landing. With the Gulfstream Cabin Management System, travelers within the G500 can easily control lighting, window shades, cabin temperature, and entertainment from their seats with touch-screen devices. Buyers can choose cabin configurations based on their needs. Optional front or rear galley as well as both forward and aft lavatories are available. A full access baggage compartment holds 175 cubic feet of luggage. 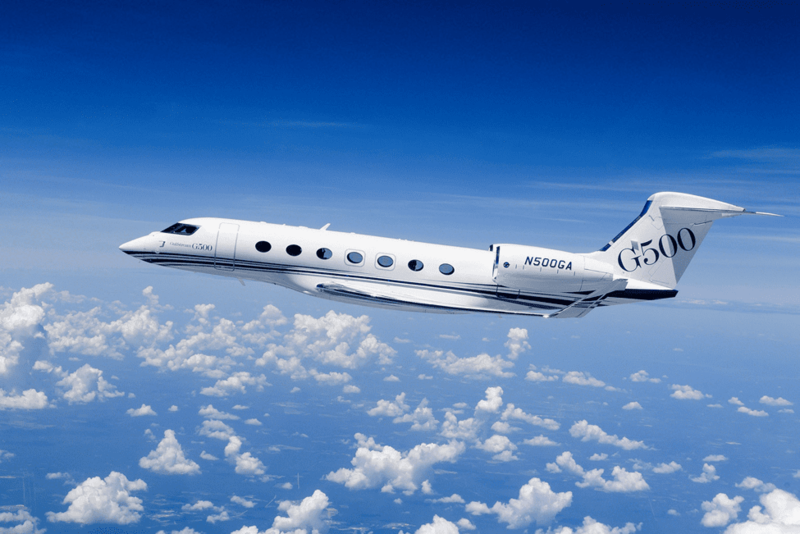 Cruising at a maximum speed of Mach 0.925, the G500 can fly up to 5,000 nautical miles. Two Pratt & Whitney PW800 engines power the aircraft while the addition of active side sticks in the flight deck improve pilot performance and efficiency. The cockpit’s new technology includes 10-inch touchscreen displays for easy viewing and organized work load. The Gulfstream G500 will start at about $43.5 million and is expected to being making deliveries to customers in 2018.